Brain tumour. 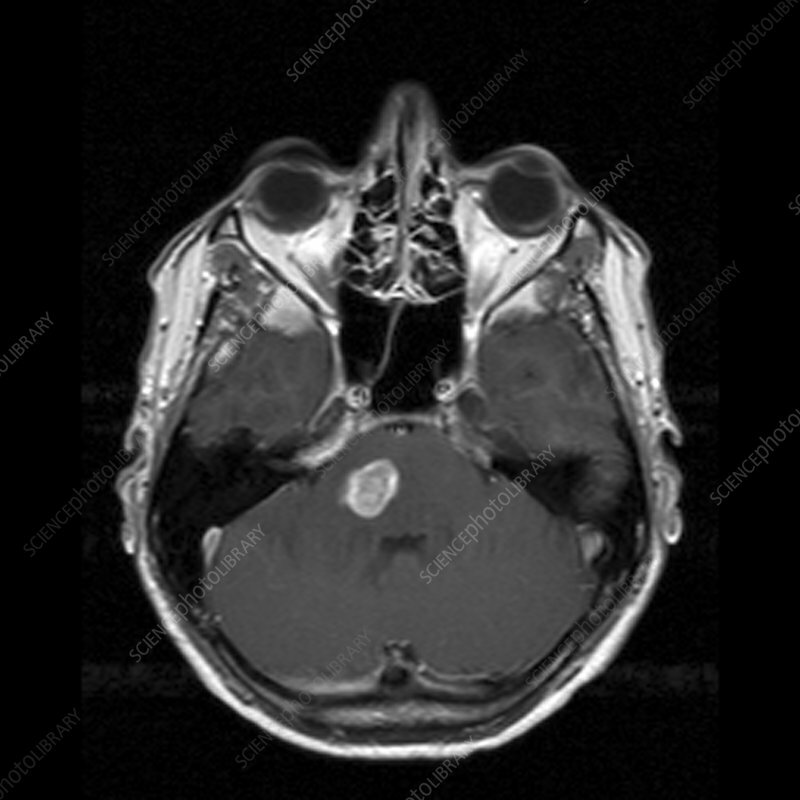 Magnetic resonance imaging (MRI) scan of an axial (horizontal) section through the head of a 39 year old man with a brain stem glioma (white spot, centre). The front of the head is at top. Glioma, a central nervous system tumour, arises from glial cells. About half of all primary brain tumours are gliomas. Brain stem glioma specifically affects one of the structures of the brain stem (midbrain, pons or medulla) and can be slow growing or rapidly growing. The brain stem is too delicate an area to operate on so they are very difficult to treat; a biopsy is not always possible and the tumour cannot be removed. Treatment tends to be with radiotherapy.